Lot 12741-12742, Jalan Teluk Batu 36/1, AMJ Industrial Park, Batu 4 1/2, Off Jalan Kebun, Seksyen 36, 40470 Shah Alam, Selangor, Malaysia. 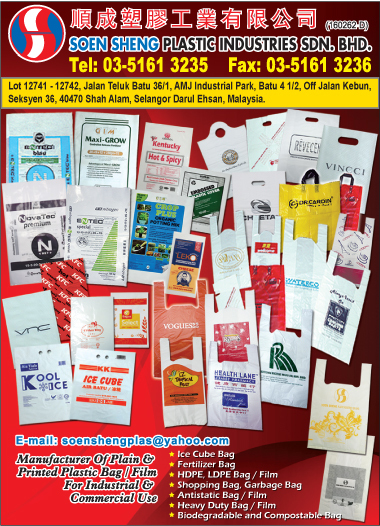 SOEN SHENG Plastic Industries Sdn. Bhd. is a leading manufacturer of plain & printed plastic bag & film for industries and commercial use come in wide range of standard sizes. Our experiences in this business enables us to manufacturer high quality bags, coupled with our strong belief in providing good service. This has resulted in trust by our customers.